In my apartment, the cordless phone sits right next to the 2,400 baud modem … in my drawer of outdated gadgets. My last VCR sits at the bottom of a landfill, buried right next to my VHS copy of “Y2K: The Movie.” But for many consumers right here in America, ancient technologies are still a part of everyday life as they continue to buy brand-new cassette tapes, subscribe to dial-up Internet and make calls from a pay phone. “It can take a surprisingly long time for technologies to really fall by the wayside,” Steve Koenig, head of Industry Analysis at the Consumer Electronics Association, told me. A CEA study indicates that only 13 to 15 percent of consumers are early adopters, while more than 60 percent are content to wait a long time before upgrading to newer and better technologies. Whatever the underlying reasons, these 12 timed-out technologies just refuse to die. The last time I had a dial-up account, I set it to download the Starr report. I said bye bye bye to Earthlink right after that and started getting jiggy with a broadband connection. 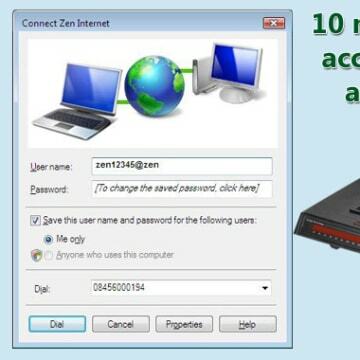 However, according to a December study by the Pew Internet & American Life Project, 4 percent of American adults still use a modem to get online. 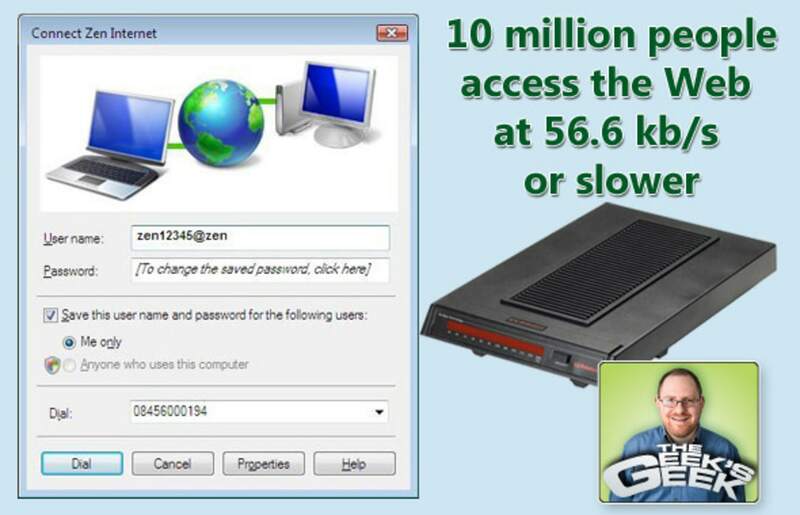 That’s more than 10 million people accessing the Web at 56.6 or slower speeds. Some of these folks are among the 6 percent of Americans who live in areas without broadband access, while others either can't afford or are too cheap to pay for high-speed services. In the early 1990s, there was no greater status symbol than a pager. If you carried a beeper, that meant that, like a trauma surgeon or a Fortune 500 CEO, you were important enough to be reachable at all times. Within a few short years, cellphones replaced pagers because they let you send and receive calls and text messagesdirectly, a huge improvement over running to the nearest phone to return a page. 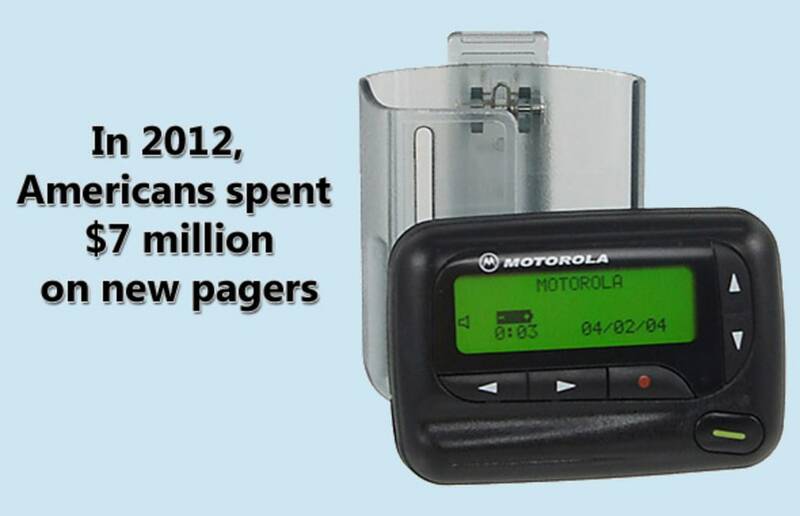 Despite the huge popularity of mobile phones, there’s still an active market for pagers. 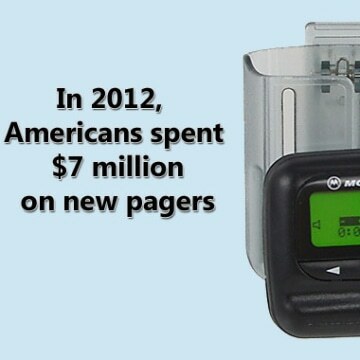 According to the CEA, in 2012 Americans bought approximately $7 million worth of new pagers, somewhere under 10,000 units. If you want to be reachable, but not too reachable, pagers provide a built-in excuse for avoiding phone conversations. Is that the sound of a printout I hear? Just let me grab my ream of green-and-white striped paper from the closet and we’re good to go. 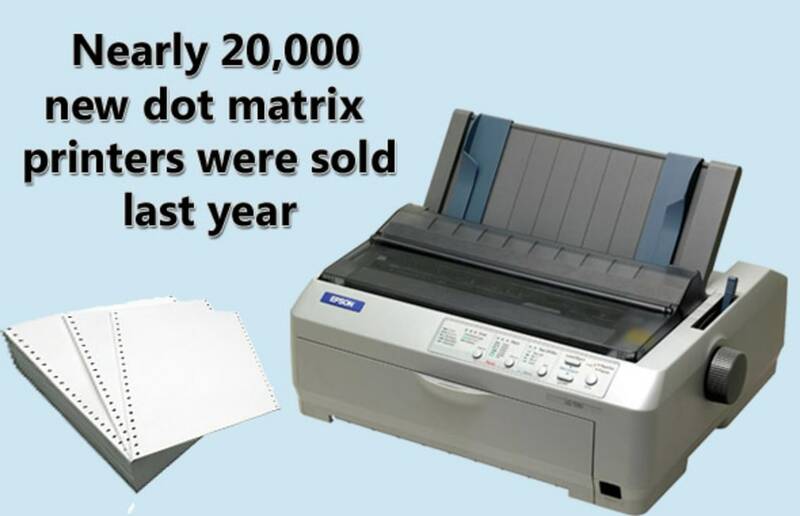 According to research firm NPD, Americans bought just less than 20,000 brand-new dot matrix printers in 2012. 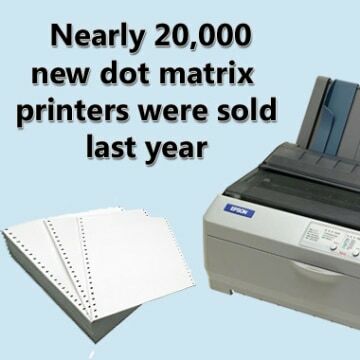 You can still find an entire channel on Amazon.com for dot matrix printers with pricing starting at a lofty $205, more than double the least expensive inkjet. So why would anyone want to use the best printing technology of 1983 in 2013? Apparently, many point-of-sale, warehouse inventory and other business systems still require carbon copy and multipart forms that work only with the hard impact of a dot matrix printhead and its continuous tractor feed. And, really, who can blame businesses for not modernizing their processes to use inkjet, laser or thermal printing? They’ve only had a couple of decades to think about it. 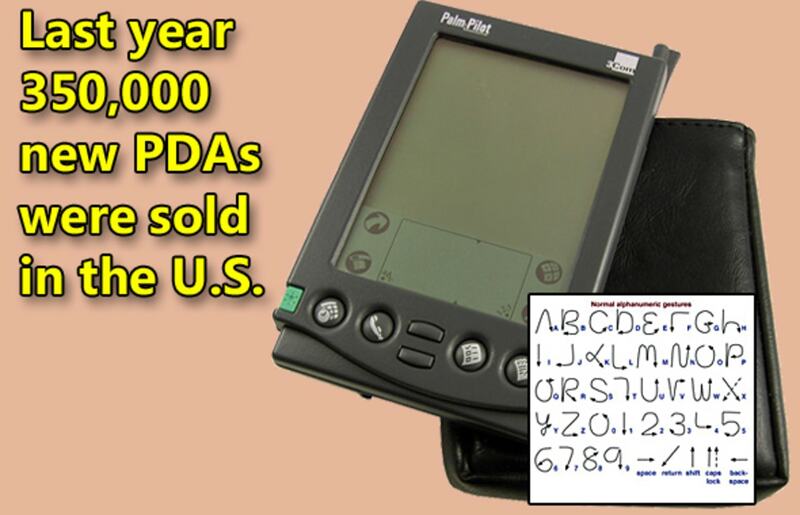 Oh, how I miss my old Palm Pilot. Sure, it was grayscale and I had learn the Graffiti alphabet to write on it, but it lasted forever on a charge and fit easily in my pocket. Later, I loved my Cassiopeia more, because it had a color screen. However, my love affair with PDAs came to an end when I got a smartphone that could not only keep my contacts and appointments, but also connect to the Internet from anywhere. 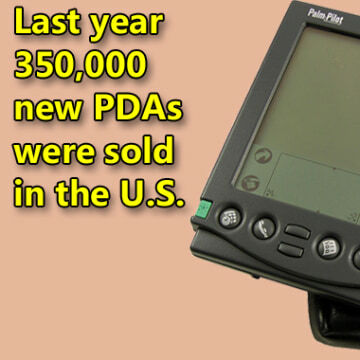 However, according to the CEA, last year there were 350,000 new PDAs sold in the U.S. Are there just a whole bunch of people pining for old-fashioned organizers? Not quite. CEA’s Steve Koenig told us that a number of vertical markets still use PDAs for data collection in places as diverse as warehouses and hospitals. Good news for costumed superheroes and Maroon 5 fans, the U.S. still has 305,000 working pay phones, according to the American Public Communications Council. But those public handsets are not made for decoration. 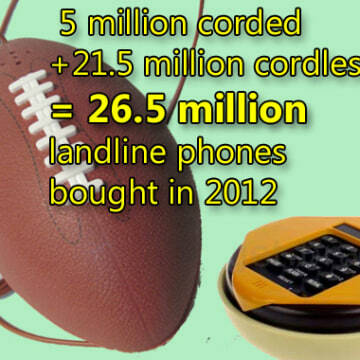 The APCC also estimates that people used those phones to place around 50 million calls in 2012. Why would anyone need a pay phone in 2013? Low-income users who can't afford a cellphone may need a pay phone to communicate from the road or, if they have no landline, to communicate at all. 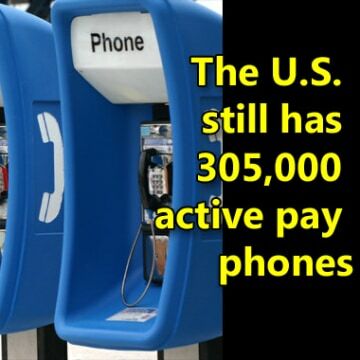 Users whose cellphones run out of juice or can’t get service rely on pay phones in a pinch. 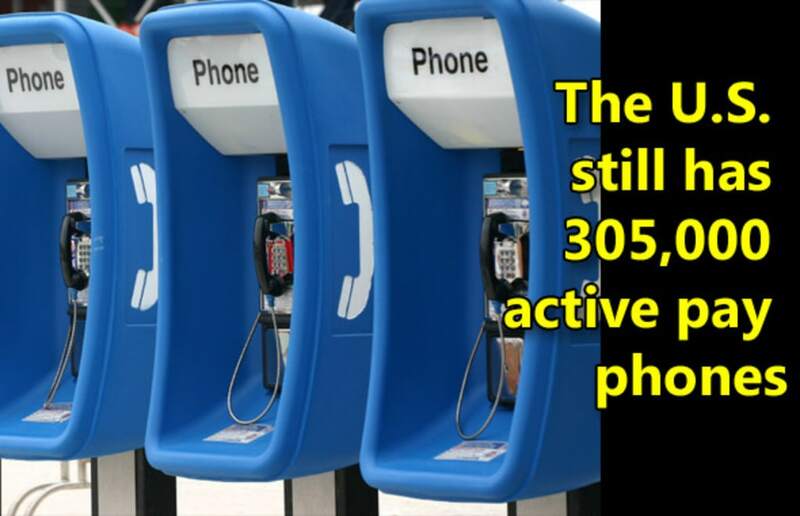 Still others may use these phones to remain anonymous when they call. These days you can download music or stream it from an online service. Or you could act like it’s 1985 and wait for your favorite songs to come on the radio so you can tape them. You can record TV for later viewing on a DVR, play it via on-demand cable or stream it from a service like Hulu. But, if you think DVRs are for wimps, you can still rough it with a VCR. 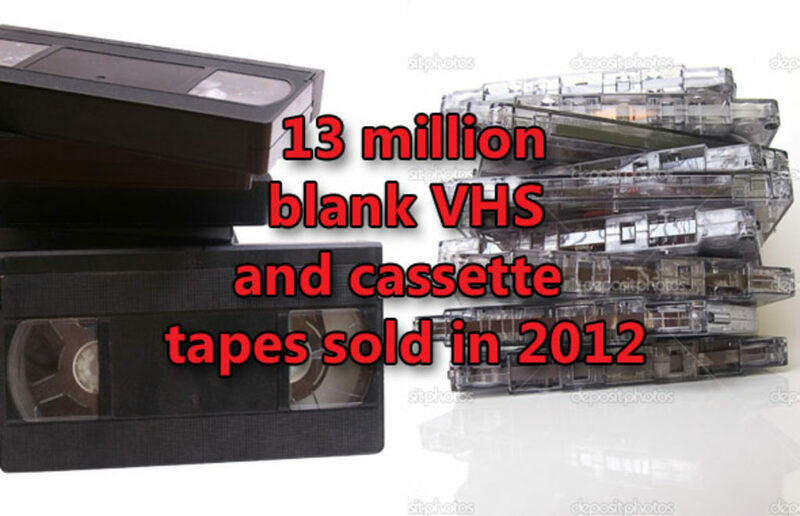 The CEA says that, in 2012, around 13 million blank cassettes and VHS tapes were sold in America. Though the association no longer tracks sales of new VCRs, you can still buy a DVD / VHS combo recorder such as the $149 Toshiba DVR620 and the $198 Magnavox DV225MG9. 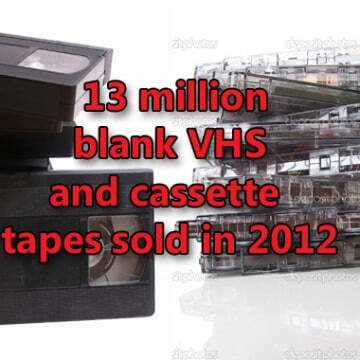 CEA doesn’t track cassette recorders anymore, but it reports that 15,000 cassette-based car stereos were sold in 2012, so the old-fashioned mix tape is alive and well. As of mid-2012, 34 percent of adults lived in homes that didn’t even have a landline, but that hasn’t stopped the remaining 66 percent from not only using their connections but also buying new hardware. 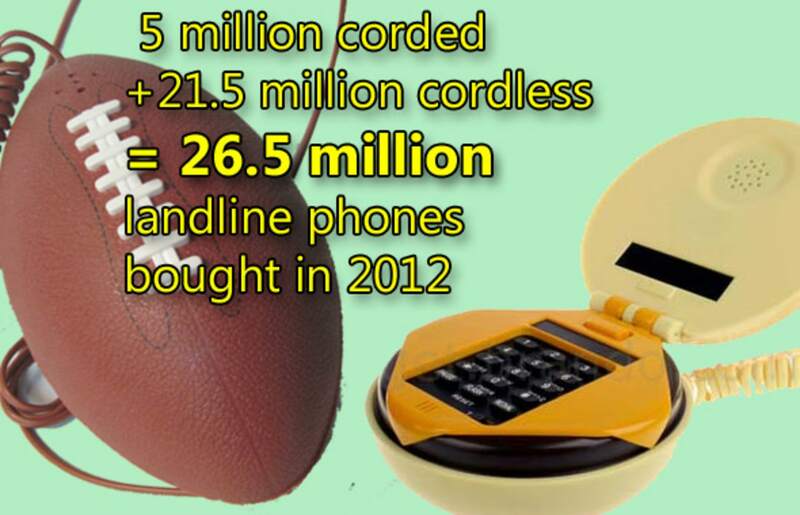 According to CEA data, in 2012 Americans bought 5 million corded handsets and 21.5 million cordless models for a total of 26.5 million landline phones. No word on how many of them are shaped like footballs, hamburgers or mallard ducks. While many of us still have old-fashioned tube TVs at home, most electronics companies have stopped making them, and for good reason. Not only are tube TVs dated and ugly, but the effort of procuring the necessary parts, building new units and paying to ship these heavy devices overseas just isn’t worthwhile for manufacturers. 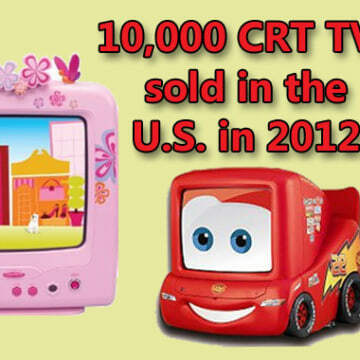 Despite the drawbacks, Americans bought 10,000 CRT TVs last year, according to NPD. Many of these sets are apparently targeted toward children. If you want your kids to suffer with low-definition broadcasts just like you did at their age, Disney currently sells a tube that looks like Lightning McQueen from the movie "Cars" and another that’s pink-and-princess themed. There's a Barbie tube, too. These days, every cellphone comes with a camera, you can buy a point-and-shoot digital camera for under $100 and high-end DSLRs and mirrorless cameras capture amazing photos. 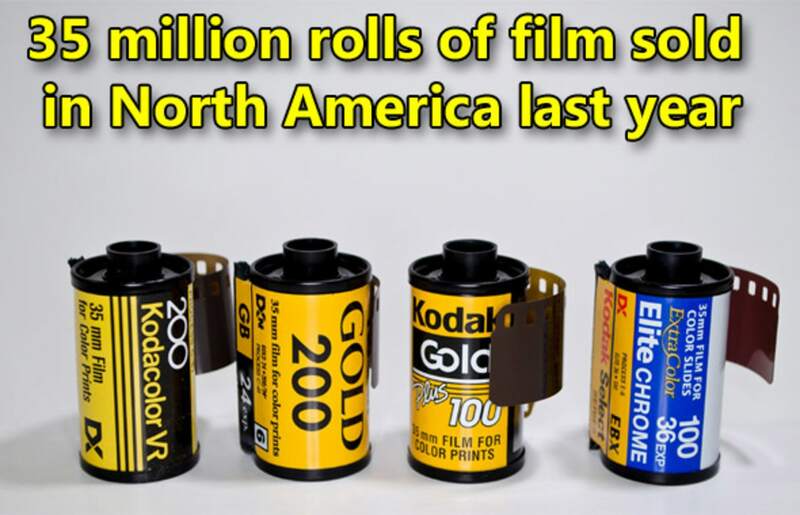 Considering that digital images appear instantly, you can edit and share them online or print them an infinite number of times without losing quality, there’s little reason to use an old-fashioned film camera. 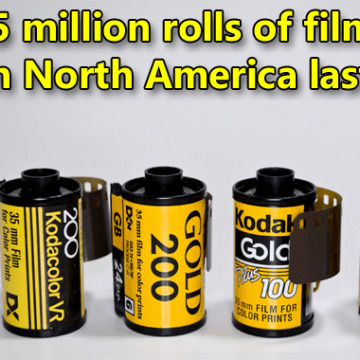 However, there’s no stopping the Americans who, according to NPD, bought a mind-buckling 35 million rolls of film last year. Some of these folks are young hobbyists who like using lomo cameras and others just don’t want to part with their Polaroids. While most people drive modern cars with fuel injections, air bags and power steering, there’s always somebody who won’t part with their 1977 Honda Civic, no matter how poorly it runs on today’s highways. If it worked fine during the Carter administration, it should work fine today, right? 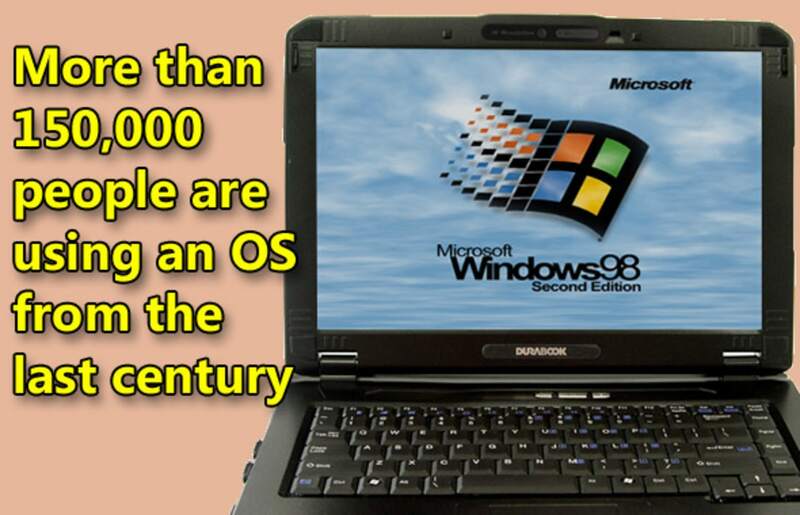 By the same token, Net Applications reports that 0.05 percent of U.S. PC users are still careening down the information superhighway in computers with Windows 98 or Windows 2000. The Computer Industry Almanac estimated that, in 2011, the U.S. had 311 million PCs in use. 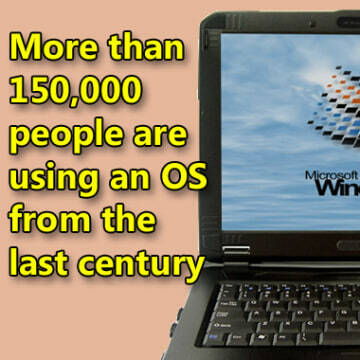 So you can figure that there are more than 150,000 people using an operating system from the last century. 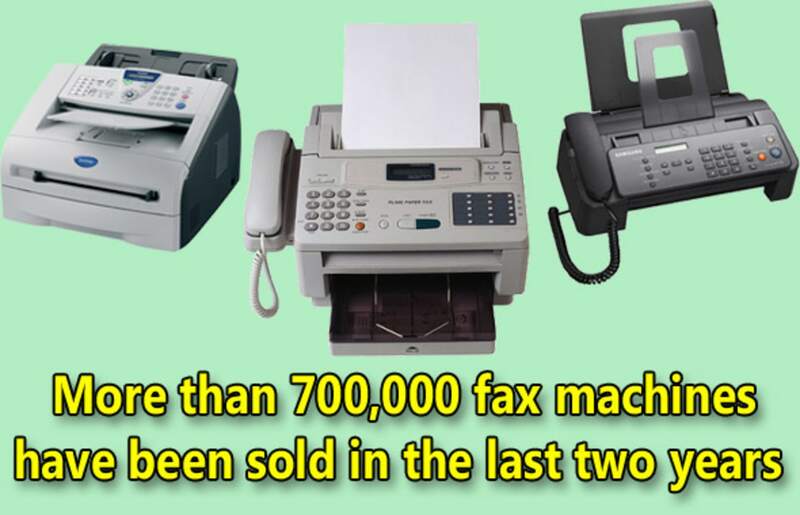 Fax machines became essential office devices in the 1970s, but 40 years later, with email, instant messaging and the ability to send fax transmissions by computer, there’s no need to own one. Still, standalone fax machines refuse to die, perhaps because businesses require signatures on contracts and it’s just too easy to grab a piece of paper, scribble on it and feed it through again. 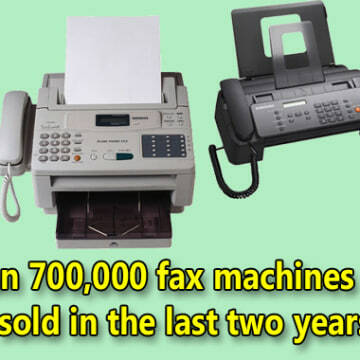 According to NPD, Americans bought 350,000 fax machines in 2012, which was down 14 percent from 2011. 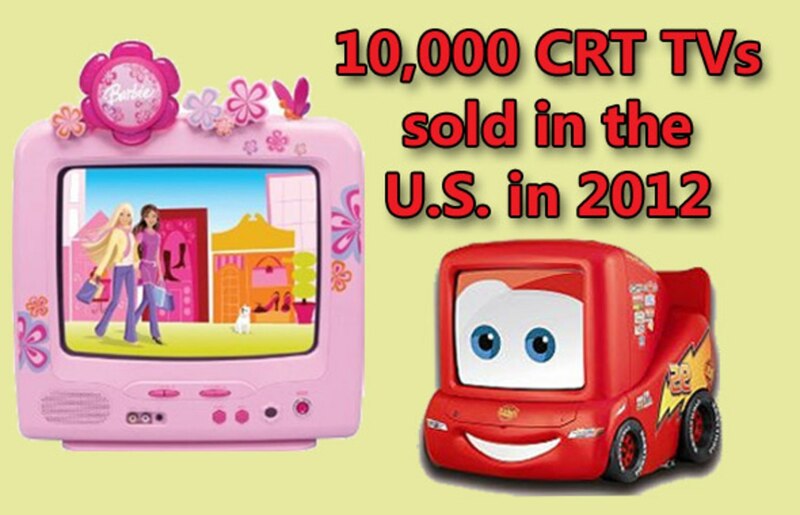 That means more than 700,000 of them were sold in the last two years alone. 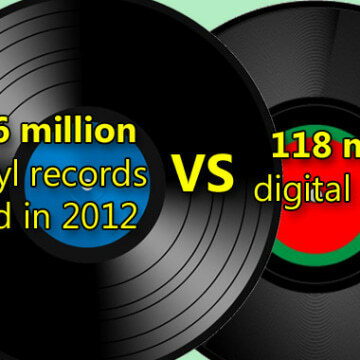 People were buying LPs back when Elvis first became popular, but vinyl records just won’t die. In fact, they’re making a comeback. Even though digital downloads and CDs are easier to use, more durable and hold a lot more music in a smaller space, some audiophiles just prefer the sound of vinyl. After years in obscurity, the LP business is thriving again with more and more new albums coming out on the ancient media format, including the latest releases from Daft Punk and Vampire Weekend. According to Nielsen SoundScan, Americans bought 4.6 million vinyl records in 2012, up 17.7 percent from the year before. 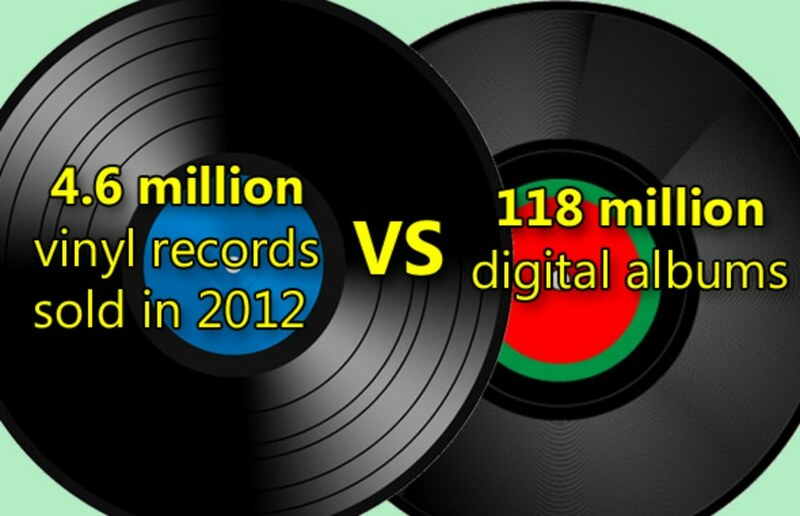 While that’s a pittance compared to the 118 million digital albums sold last year, it’s not insignificant.